While onsite jobs were once the reason many young professionals opted for the information technology sector, increasing instances of crime and security breaches pertaining to Indian employees abroad have led to concern. 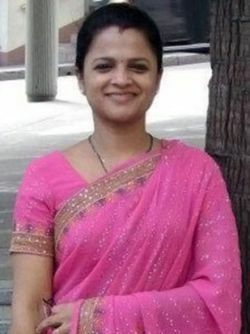 The latest such case is the stabbing of Mindtree employee Prabha Arun Kumar (picture given below) in Sydney, while she was on her way home from work. Kumar succumbed to her injuries. The Indian IT services sector, expected to generate export revenue of $98 billion in FY15, has about 3.5 million employees. Of these, it sends 50,000-60,000 abroad a year for projects or onsite work; every year, 25,000-30,000 IT services employees head for the US. With the minimum period of these projects varying between six months and three years (depending on the visa type), the employees are usually given crash courses on cultural acclimatisation. Experts say most IT services companies give a list of do’s and don’ts to employees travelling abroad. They add while there are no services to pick up and drop employees from and to their houses abroad, on rare occasions (late working hours), the employees are given cab services. “On the Sydney issue, let me say it is the responsibility of the country to be responsible for the security of people travelling to their shores. “Having said that, I do not think we can have additional protection from the company to every individual travelling abroad, especially to a developed nation,” said Ganesh Natarajan, vice chairman and managing director of Zensar Technologies. He, however, says whenever an employee is sent to emerging countries, such as those in Africa or West Asia, special care is taken. “When we were expanding into South Africa, during the initial days, we made sure each employee had a company car to travel in, they had official accommodation in areas that were safe. “But as things have improved, we have reduced such offerings,” he added. Industry players say unlike in India, it is unviable to provide transport facilities abroad. “We have such huge volumes in India that the cost structure works; you simply cannot have such a facility in an English-speaking developed world,” a company official said on condition of anonymity. Sangeeta Gupta, senior vice-president, Nasscom, says with the increasing footprint of the Indian IT sector, there is a need to re-look at the security of employees sent abroad. “Each company has its do’s and don’ts for employees. “As an industry, however, we will have to make an extra effort to educate our employees on certain countries. “With regard to Australia, we will have to step up coordination with local security forces,” she added. Gupta says the murder of the Mindtree employee in Sydney is a ‘wake-up call for every immigrant going to Australia’. Despite several attempts, Mindtree could not be reached for comment. “If I travel to any region within India, I have a point of contact if I am stuck in a situation. “Most companies do not provide that. “When travelling abroad, the most an employee can do is call up their immediate manager. “Many might have a 24x7 travel desk for assistance but that depends on how big the market is in terms of revenue contribution,” said an expert. “If you are visiting the US, you will be told not to ask questions on personal life, politics and religion. “If you travel to Japan, you will be told about discipline, that things are slow there and you need to be extremely cautious. If you are travelling to South Africa, you will be told not to travel after six in the evening,” said a source. Image: IT employees. Photograph: Reuters; The image is used for representational purpose only.